Increased Energy Efficiency/Smart Appliances: Most older kitchens have outdated appliances that are energy hogs which affects both the environment and your wallet. New appliances are EnergyStar rated and "ultra efficient. New appliances are often "smart" allowing you to control them from a phone app, utilize them to stay more organized (think reminder list on a large touch screen on your fridge). Life Fit: If you are raising a growing family, or your household needs are changing with more people in the home your kitchen needs to be a space that can handle all of these changes efficiently. Most existing kitchens are poorly laid out, don't have the capacity to cook for a large amount of people, and do not flow well. Your new kitchen should meet YOUR needs whether that means a gourmet kitchen space with wine storage, more counter space to accommodate cooking with your children or an open design geared towards entertaining a large group of people. Design Upgrades: Most existing kitchens are woefully outdated and a kitchen remodel gives you the opportunity to choose a design that is up to date a timeless. Those pink 1980's tiles with linoleum flooring aren't helping your psyche or your homes value. Take advantage of remodeling your kitchen to design a timeless space that will allow you to enjoy your space as well as add tremendous value to your home. 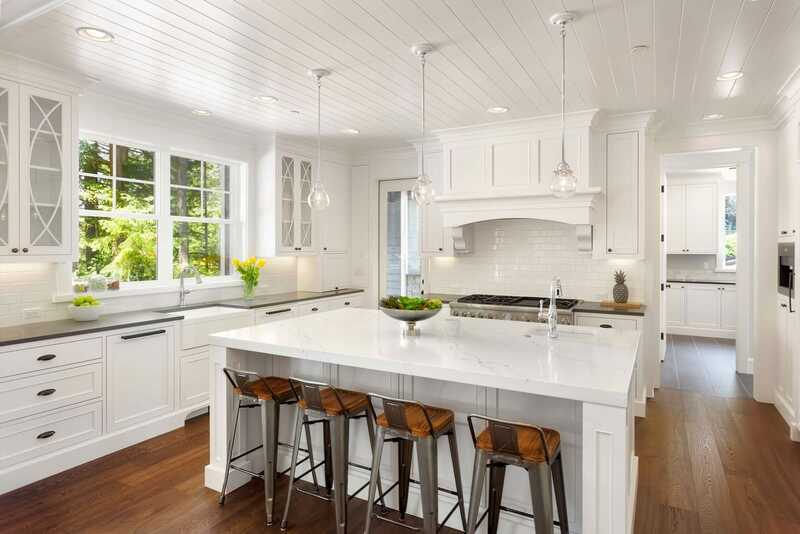 Boost Your Homes Resale Value: One of the first things people see when coming into your home is the kitchen. A newly remodeled kitchen that is designed well can add 75-90% of the cost of the kitchen to the homes value. This means you not only get to enjoy your awesome new space, it's a great investment that pays for itself over time. Lifetime Remodeling Systems is proud to offer a full line of remodeling services for our clients including kitchen, bath and full scale interior remodel. Whether you’re dreaming of a new master bathroom, a kitchen refresh, or wish to change the interior layout of your home our expert team is able execute your remodeling vision. Contact Us to set up a free in-home consultation with our remodeling consultant and set your dream remodeling plans in motion! Need more information before having us out? Download our Design-Build Information Packet for budget guidelines, project phase details, and more.